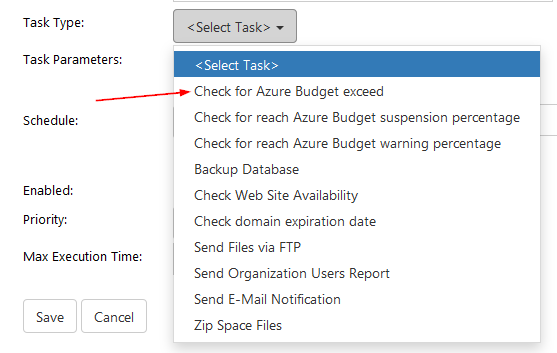 Then select Check for Azure Budget exceed task type from the drop-down menu. You will see extra options for this. You can select tenants and decide whether you want to send message to ServerAdmin. If so, type in his email.